Welcome to Salt LAX City. Utah’s lacrosse program will make its NCAA debut Friday. Utes will host Vermont at Rice-Eccles Stadium. (Photo courtesy of Ben Haslam/University of Utah). Utah lacrosse coach Brian Holman works with his team in practice. Even before he moved into his Huntsman Center office last summer, during the two years when he held staff meetings at his house or in a bakery just off campus and coached Utah’s club program, Brian Holman worked every day to prepare the Utes to play a Division I lacrosse game. That actually will happen Friday afternoon, when the Utes make their NCAA debut vs. Vermont at Rice-Eccles Stadium. When • Friday, 4 p.m. Yet as he stood on the sideline of a scrimmage vs. Marquette last weekend, Neeleman was encouraged. He watched Utah “just absolutely out-hustle Marquette” in a competitive contest. That's one of the traits Holman is emphasizing this season, while planning to build a “nationally prominent” program. He knows what that looks like, as a former assistant coach of NCAA championship teams at Johns Hopkins and North Carolina. 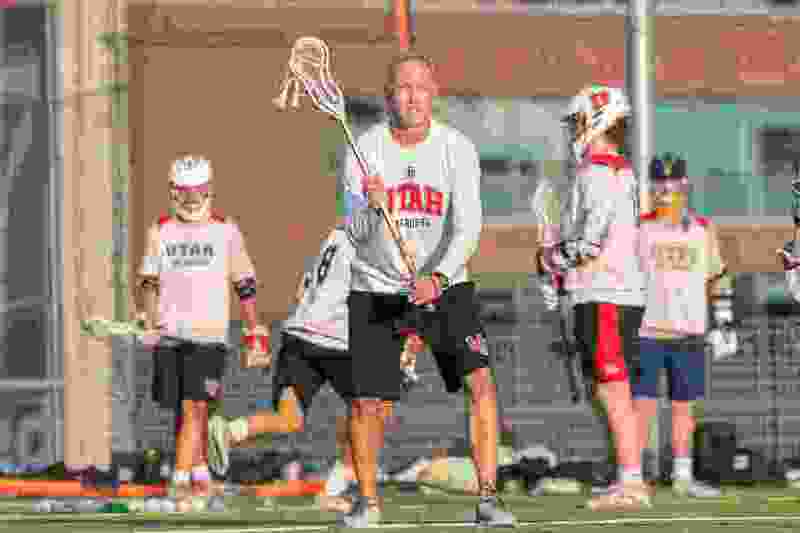 Holman came to Utah to coach a club team in 2017, believing in Neeleman’s campaign to persuade the Ute administration to add lacrosse to the athletic program. Neeleman and other members of the Founders Club created a $15.6 million endowment to fund much of the budget, and the school’s approval came in June 2017. So here are the Utes, positioned as the westernmost men’s lacrosse program in Division I, hoping that another Pac-12 school or two will add the sport and eventually help form a conference. After Friday’s opener, the team will play home games at Judge Memorial’s McCarthey Stadium, with a new soccer/lacrosse venue being built on campus. Utah's 43-man roster includes 36 freshman in NCAA eligibility, with 19 players having competed for the club program. Five have transferred from four-year schools. Seth Neeleman, a high school star in Connecticut, once committed to a strong lacrosse program at Loyola University of Maryland. The founding of Utah’s program came during his church mission to Brazil, giving him an opportunity to play in Utah, where the family has extensive ties.